The main thing about season one for me is how they forgo the usual conventions and get straight to the "I AM A SUPERHERO" part. The secret identity, learning powers, embracing being a hero, etc. is all kept to a minimum. In other words, the show starts off at a running pace. Yes! This! So much! I hate retreading superhero origin stories. Every superhero shows feels like it has to... but they really don't. They're just slowing down the pacing. Maybe this is why I loved the first season so much. 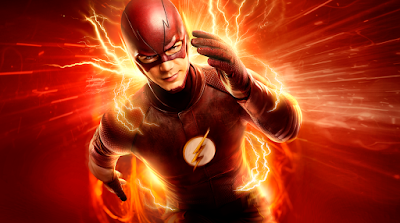 Even if you don't know Flash's origin story, the initial part can be summed up in 5 minutes and everything else can play out in the retread material in a fresh way. It's win-win. Arrow's first season was a total snooze in comparison and Smallville took its entire run to get half as far as Flash does in episode one. This is so true. I failed to get into Arrow and Smallville for this very reason.